Who is Asia Bibi ? Asia Bibi ia a christian follower 47 year old farm labour and mother of 5 from the Punjab province of Pakistan. 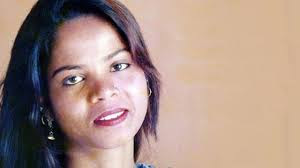 On 14th June 2009 Asia Bibi was alleged that she made some “sarcastic and reformatory remarks” or balsphemy against Prophet Muhammad during an argument with three Muslim women. The 3 women had refused to drink water from a container that had been used by Christian specifically by Asia Bibi. Christians are minority in Pakistan and we know that wherever minorities lives they tratetras trival, like other countries here also minorities are discriminated. The news of discrimination was published in DAWN, CNN and other news paper. Few days latter, a mob accused her insulting Islams prophet Muhammad and that led to initial conviction. The issue went in court. A trial court from Pakistan sentenced Asia Bibi to death in november 2010, under section 295-C of Pakistan Penal Code. The offense carries a mandatory death sentence. The Lahore high court had upheld the verdict of Asia Bibi in October 2014. The issue got fame at the international level. Many Christan organization tried to convince Pakistan government to save Asia Bibi. In 2011, Punjab province from Pakistan, governor Salman Taseer voiced his support for Asia and spoke up against the balsphemy law. Taseer assasinatass by his guard Mujmtaz Qadri for his comments. Qadri was concvicted and expected in 2016. But later was hailed as a Marty by religious hardliners, and millions visited a shrine set up for him near Islamabad. Shahabaz Bhatti Pakistan’s minister for minorities was also killed in 2011 after seeking justice for Asia. Now, at international level pressure is on pazkistan that Pakistan government should interfere in this matter to save minorities. Supreme Court Overturned the Lahore High Court verdicts, the chief justice of Pakistan supreme Court said “Tolerance is the basic principle of Islam”. However, the judgement invited sharp crticism and reaction from Pakistan hardliners with the chief justice also death threats. Protestor demanded that Asia Bibi should be publicly executed. It is high volume demand of Pakistan's right wing fundamentalist ideology. Security forces moved quickly deploying outside Churches to protect minority Christians and urging demonstrates to disperse peacefully. Right wing religious organization, including Jamat-Ud-Dawa (JUD), founded by UN-designated terrorist Hafeez Saeed and the Jamat-Ulema-e-Islam announced that they would join the Protest. Asia Bibi was expected to leave the country as she had been offered asylum by several countries. Husband of Asia Bibi Ashiq Nasih and their two daughters eagerly await her in London. The ruling , which was welcomed by the human rights advocates, was strongly condemned by radical Islamic parties who blocked roads in major cities of the country immediately after the acquittal. It is said that the Punjab government has been accused of signing the death warrant of Asia Bibi after it said it would begin the process of preventing her leaving the country. The government and Taharik-e-Labaik Pakistan (TLP) reached a five point agreement. Tell us through comment about your thoughts on Asia Bibi Case, for more update follow us.